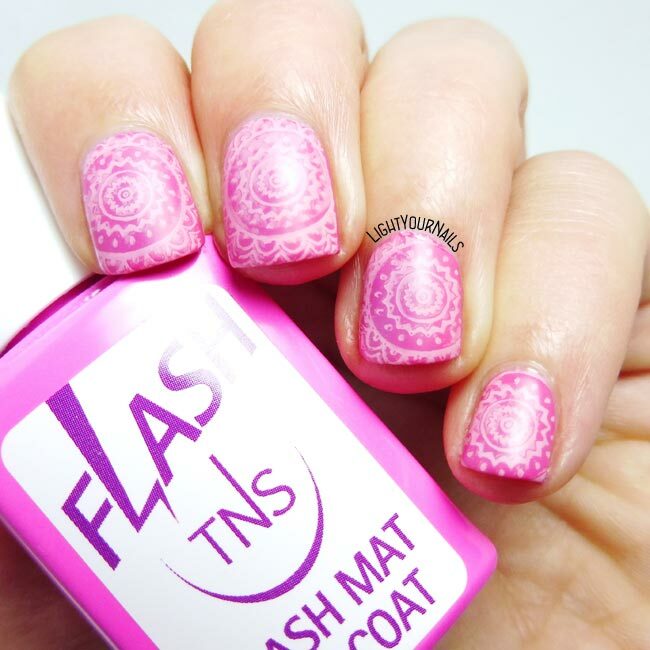 Pink nails | Light Your Nails! Love the colorcombination! I've never tried that kind of stampingplate. Don't really se the meaning of having it in silicone. I was intrigued by the "news" but it was a fail. Che bella questa nail art! la prevenzione è fondamentale!! I have never even seen a silicone plate before! It's interesting but sounds like a lot of work. It super important indeed to make the yearly breast check ups. I am the living proof that treatment can help! Well, as you sad, happy thoughts. 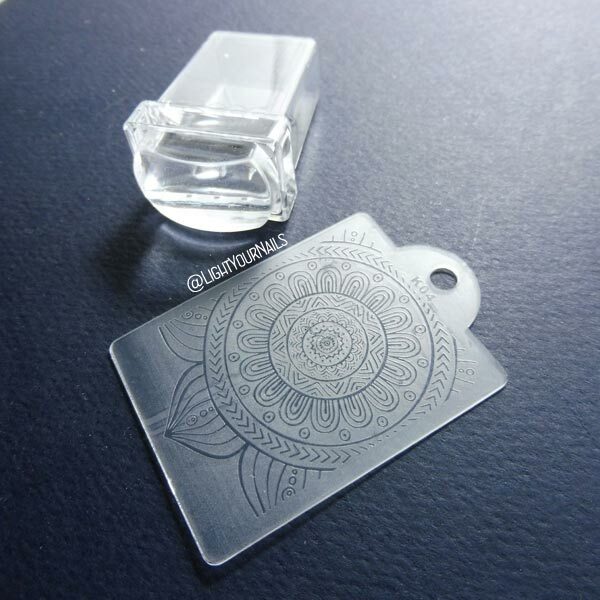 I never used silicone plates and as you describe I rather stay with the metallic ones :) I like the outcome of the stamping and I think I prefer the glossy finish more here. Have a great weekend. I didn't know Andrea! That's so good it could help you. You know what? I loved it glossy, too! Bellissima questa nail art! La preferisco di gran lunga in versione mat! Sono d'accordo sul fatto che la nail art, come tante cose, devono essere semplici e veloci da fare. 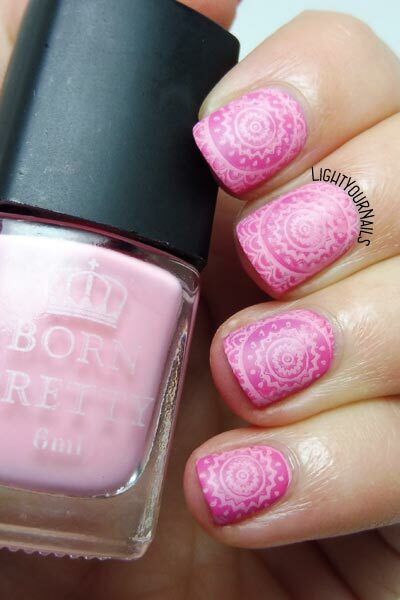 Non ho mai provato lo stamping con il silicone! Too bad it was so difficult to use! Even so, it looks pretty, like the background is marbled. I had the same feeling! 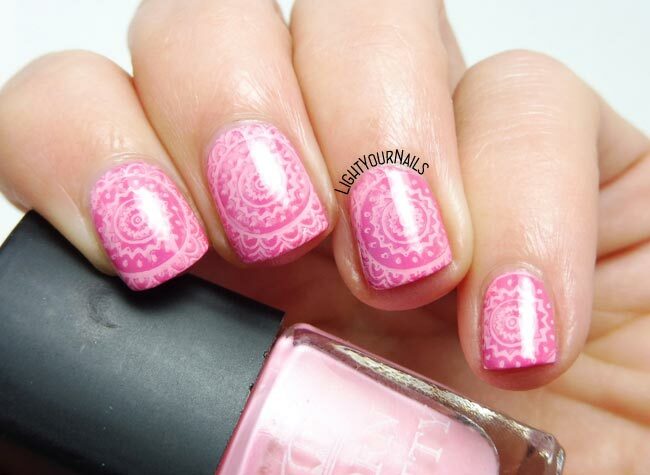 When I tried using it with contrasting colours it was obvious that the stamping was all smudged. 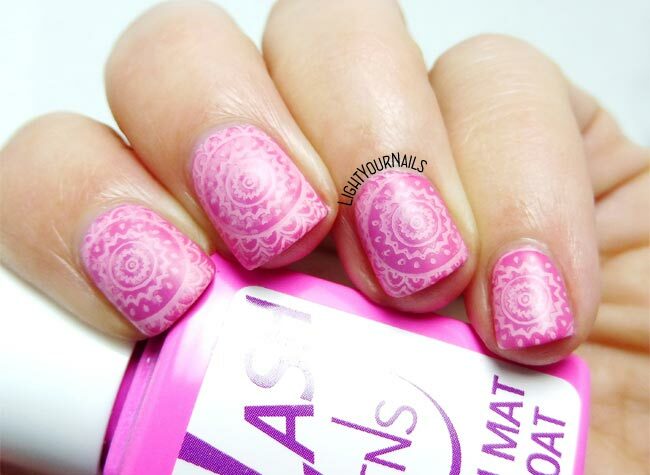 These colours helped indeed and you kinda can't understand if it's the base or the stamping! Se la provi voglio sapere tutto!